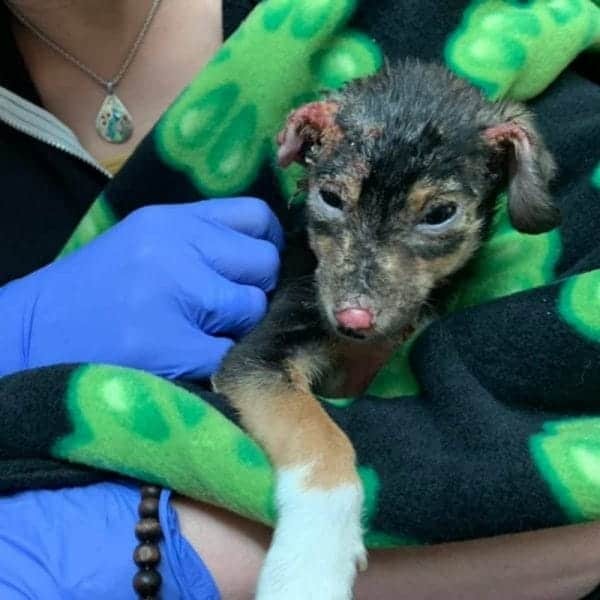 A puppy left with horrible chemical burns was found abandoned in the trash in Newport, Tennessee. 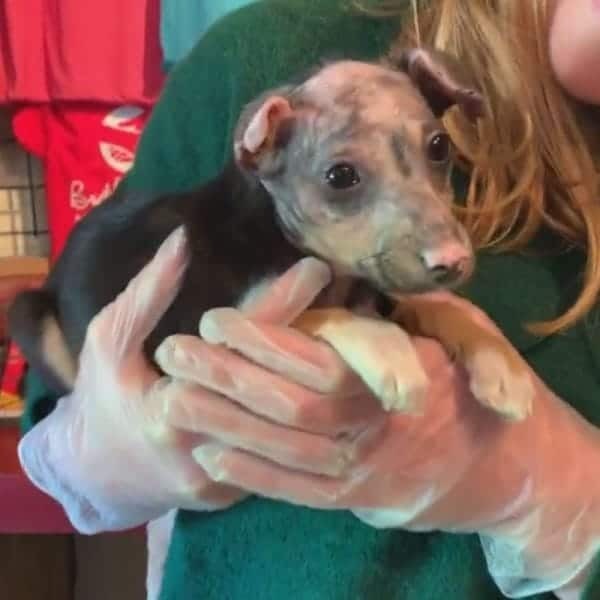 The 8-week-old pup has been named Hope and was found outside a restaurant. 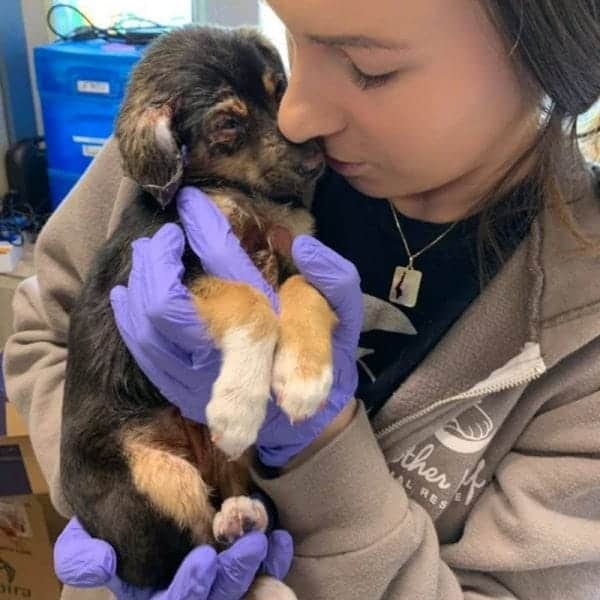 The burned puppy’s body was 60% covered with burns, and her ear and tongue were the worst affected areas. Help was on its way, however. Friends Animal Shelter of Cocke County took him in and did their best. Brother Wolf Animal Rescue in Asheville, California, chipped in to help as well, due to the severity of the burns. Hope is now solely in the care of Brother Wolf, where she can receive 24-hour care from the on-site vet. Hopefully, her young age means that she will bounce back to full health quickly, and continue her recovery well. Nobody knows who could do such a horrendous thing to a beautiful puppy, but she is in good care now. Safe hands will tend to her until she is fully healthy. Then, she will be adopted by a more loving family. Brother Wolf has received a lot of concern about Hope and thanked well-wishers in a Facebook post. It read, “Following our most recent updates on Hope, we would like to extend a special thank you for an exceptionally sweet package we received yesterday from FABB (Fur Angel Blessing Blanketeers), addressed directly to Hope. Inside the box was a heartfelt card, a toy, and a soft, handmade prayer blanket that over 150 people put their thoughts and prayers onto. Hope is already enjoying cuddling up with her wonderful new blanket while she recovers! 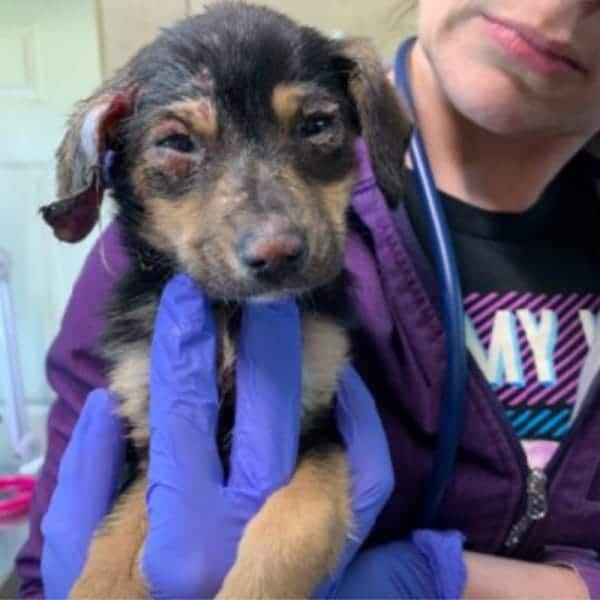 People have come together to help Hope the burned puppy, and she is getting all the care she needs. If you want to show your support for this beautiful puppy leave a comment below. Or share with your friends and family. 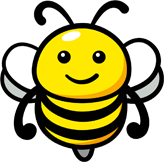 Don’t forget to check out similar stories on Happiest!